The purpose of this podcast series is to showcase how leadership is the essential ingredient to address the ever-growing issues and challenges facing the US healthcare industry. As we know, the great majority of these challenges are too complex and wide ranging for any one sector to solve independently. This is where a health ecosystem leadership approach pays more than significant dividends. Solutions which emphasize how the various sectors of the health industry – such as hospitals and health systems, pharmaceutical companies, payers, policymakers, local government, community organizations – operate interdependently are the only ones with the potential to deliver on critical imperatives, like affordability, access, and outcomes. 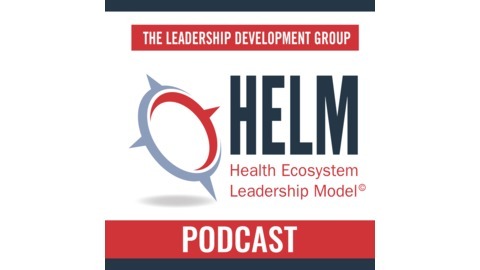 During this podcast, we will introduce you to some of the best and brightest health ecosystem leaders, who will share practical examples of how they have successfully demonstrated a collaborative mindset and the critical behaviors that lead to positive outcomes for their organizations, their patients, and the communities they serve. 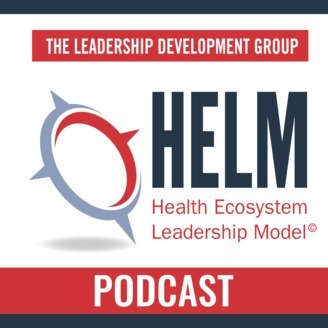 The behaviors and competencies these leaders demonstrate form the basis of our Health Ecosystem Leadership Model (HELM™), a framework for how leaders generate cross-sector solutions to the healthcare industry’s most pressing needs by envisioning a new future, aligning diverse stakeholders, managing boundaries and obstacles, and continuously acting and learning. Laura Landy is President and CEO of the Rippel Foundation and has guided the creation of ReThink Health and FORESIGHT: Designing the Future for Health, the Foundation’s two flagship initiatives. Rippel seeds innovations in health by working with national and regional leaders to better see and execute systemic approaches that can transform our current system – one designed for another time, and create opportunities for better health and well-being for all. ReThink Health works with well-positioned stewards beginning where they are today; FORESIGHT looks ahead at future trends and emerging ideas and how they can accelerate transformative efforts. Laura has nearly four decades of experience addressing changing dynamics in health, higher education, economic development, social services, and culture. Her professional career includes relationships with The Ford Foundation, Pfizer, New Jersey’s public health system, AT&T’s Bell Labs, the 92nd Street Y, Adelphi University, and others. Laura has served in leadership roles in many academic institutions including creating the Institute for Nonprofit Entrepreneurship at NYU’s Stern School of Business, helping lead both NYU’s and Fairleigh Dickinson’s entrepreneurial centers, and serving as adjunct faculty at Columbia University and the New School. She currently serves on the Dartmouth-Hitchcock Health Board of Trustees and is a board member of Grantmakers in Health. Laura received her undergraduate degree from Washington University in St. Louis. She received her MBA from New York University, and is a Fellow of the New York Academy of Medicine. Collaboration among disconnected healthcare entities can be achieved by determining the unique interests of all stakeholders involved and leveraging common co-dependencies among them. To support collaborative solutions, four key areas require focused attention: (1) creating a sound strategy, (2) clarifying values among stakeholders, (3) broadening stewardship across silos, and (4) creating sources of sustainable financing. Engaging with the ecosystem involves continued learning, comfort with change, and thinking about what’s possible. Collaboration is an indispensable technique to solve the tough problems facing population health today such as the mental health national crisis, affordability, and availability of pharmacy and specialty drugs. Embodying mission, vision, and values based on a global concept of health and a better world is about actively living those values when approaching daily work. Health ecosystem leadership must reflect the communities we serve and be centered around the individual with a focus on team-based, whole-person centered care.